RUSH: We’ll go to Pembroke Pines, Florida. And this is Sherry. Great to have you, Sherry. How you doing? CALLER: I’m great, Rush. How are you? RUSH: Fine. Fine. Thank you so much. CALLER: Mega dittos. Longtime listener. RUSH: Great to have you here. I’ve been to Pembroke Pines once. RUSH: You’re not far from the Calder racetrack, right? CALLER: Calder? No, no. We’re close to the Hard Rock Stadium. RUSH: Well, that I knew, but I stayed with a guy who lived in Pembroke Pines not long ago. We went to the racetrack, and I thought it was close by. RUSH: Anyway, I’m taking up your valuable caller time. CALLER: Anything for you, Rush. CALLER: I had a lightbulb moment yesterday, and I wanted to get your thoughts on it. CALLER: Do you think there’s a correlation between illegal immigration at the border being down 70% and African-American unemployment being down the lowest level ever? RUSH: Yeah, this is interesting. CALLER: So maybe there are no jobs that Americans won’t do. RUSH: That is a lightbulb question. You’re absolutely right. You know, your brevity is also great. Thank you! You’re one of the best people at this that we’ve had in a long time. 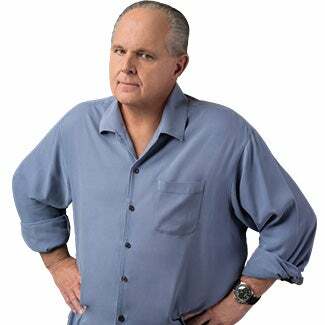 RUSH: The point she was making: Is there a correlation between so many fewer illegal immigrants crossing the border and African-American unemployment falling? And it could be. You know, I see conflicting stories on illegal immigration numbers. For a period of time — a month or two, longer than that — we kept seeing stores that the numbers really dwindling, that there weren’t even that many people trying to get across the border anymore because of the fear they had that we were getting much stricter with our enforcement of the law. Then I saw something last week or the week before that illegal immigration numbers are skyrocketing and they’re back to where they were. Now, again, all of this is in the mainstream media. I don’t know what to believe from day to day. (interruption) Wait a minute. Here’s Chuck You Schumer now at the camera and microphones. I don’t know if this is today at this moment or if this is earlier, ’cause it just says, “Trump-Schumer Met at White House as Shutdown Looms.” Well, whatever, he wasn’t there long. If he was there, he didn’t stay there long. We’ll track this down in the next break. The point is that for the longest time fewer and fewer illegal immigrants were getting across the border or even trying, and African-American unemployment is at a record low. Now, I don’t want to be a downer here, but I need to observe something. I’ve always believed that if people live through something, they will obviously conclude what it is. Well, let’s go back to the 1980s, which is the most recent boom time prior to the present — and let me qualify that by saying the most recent boom time that was most definitely directly tied to government policy. We had massive tax cuts across the board. Massive. I mean, the top marginal rate when Reagan took office was 70%, and when he left it was 28%. I mean, these are massive reductions, and the resulting economic boom was unmistakable, unmissable. We did things that the economists said were not possible. We reduced the deficit and we reduced interest rates. At the same time, we were creating jobs. Normally economic growth and job creation is thought to be inflationary — and with inflation, you have rising interest rates and all kinds of horrible things. The Reagan economic recovery and boom was remarkable. But all during it, the Drive-By Media was lying about it. They were calling it trickle-down. They were saying it was benefiting only the rich. Yet it wasn’t true. Everybody working saw tremendous benefits during the Reagan tax cuts and yet here’s the media lying to ’em. I ran across a guy who had been interviewed by the Drive-By Media about it, and I understood. The Drive-By Media is saying the Reagan recovery is bypassing most; it’s only benefiting the rich and the well-to-do. A guy was watching the media. He had done very well. He was not a rich guy. He was upper middle class. And the media, somewhere (I think it was ABC, actually) was interviewing him, and he said, “Yeah, I’m doing great. I’m doing great. But I watch the news and I see a whole lot of people aren’t and I really feel bad for ’em.” So this guy had been convinced that he was one of a few people benefiting whereas most people weren’t simply because of what he saw on the news. Now, remember, this is 1986 or 1987. There is no talk radio or Fox News. There is no alternative media at all. There’s just ABC, CBS, NBC, CNN, and that was it. There wasn’t anything else ’til 1988 when this show started. So that’s how it happens. People are living improved lives, and they watch the news, and they get the impression that there are very few people like that, and they’ll do that here again in this period. All these bonuses, all of these entry-wage increases, the expanded benefits, the new jobs? 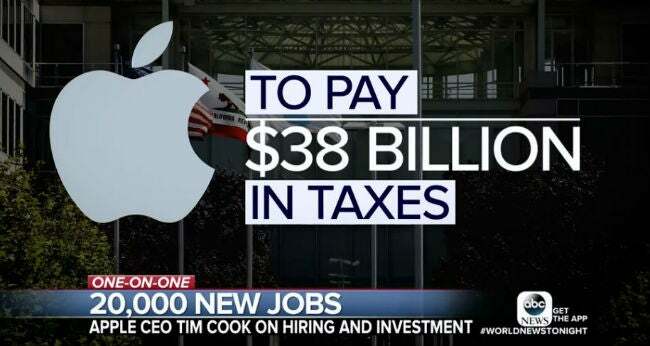 Apple, $350 billion investment in America with a new campus, new headquarters, 20,000 new jobs? And Tim Cook even praises tax cut as a major reason why Apple is doing this. Not the only one, but a major reason. The media is gonna continue to do stories on the people that are not doing well, and they won’t stop ’til they find them, and the exact purpose will be to convince a majority of Americans that it only benefited a few. So the idea that you live through something as instructive is not always the case, depending on how influential and powerful the media you consume is. Here comes Trump in one year, and more African-Americans are working than ever before, and their wages are going up, too, and they’re getting tax cuts. How many of them are saying, “Hmm. It’s Trump doing this? It’s a Republican doing this”? How many of ’em are even aware of it at all? How many of ’em who are benefiting still think that the Republicans are racist, sexist, bigot, homophobes? This just a brief illustration of what we’re up against. But there’s no denying, no matter how unprofessional and how biased and how despicable the media is, for many people it’s still gospel. It’s still automatically believed. We had a sound bite earlier of Lindsey Graham explaining why he’s with the Democrats on this shutdown bill. And he said because there is no way that I’m gonna support anything that stops chain migration. So for Lindsey Graham, chain migration is more important than the DACA kids, the wall. In his mind you can’t separate the DACA kids and chain migration. By the way, the DACA kids are not kids anymore, either. They’re about 24 years old in many cases, and the employment rate among them is like 25%. And it’s not 800,000. The number is 3.6 million. USA Today: “There Are 3.6M ‘DREAMers’ — A Number Far Greater Than Commonly Known — While many politicians use DREAMer and DACA interchangeably, the terms are ‘not a distinction without a difference,’ said House Minority Whip Rep. Steny Hoyer, D-Md. So how does this number of 800,000 get tossed out? Because 800,000 is how many Obama let in. So 800,000 is the number. It’s 3.6 million. And chain migration is expected to add eight million potential foreign born voters to the American electorate over the next 20 years. And, bingo, here you have what this is all about. Chain migration. The DREAMers getting to bring mom and dad. The DREAMers getting to make a phone call, bring in brother and sister. The DREAMers getting to bring in grandma and grandpa and Uncle Jose and Aunt Inez. Come on in! Eight million potential foreign born. On African-Americans, the number from earlier this week, the majority of the population increase in the African-American community comes from immigration. In other words, the increase in the African-American population in America is mostly due to immigration, not birth. Here’s another interesting stat. The U.S. birthrate replacement level, we are below it. We are below a birthrate that would keep our population the same. You want a rising birthrate. You want a larger population. Ours is shrinking. One of the primary reasons is abortion. The Democrats need their permanent underclass. Not the same people, but they need a certain number of illiterate, uneducated, can’t speak English, poor people to whom an entry-level job picking crops is the best day of their lives. 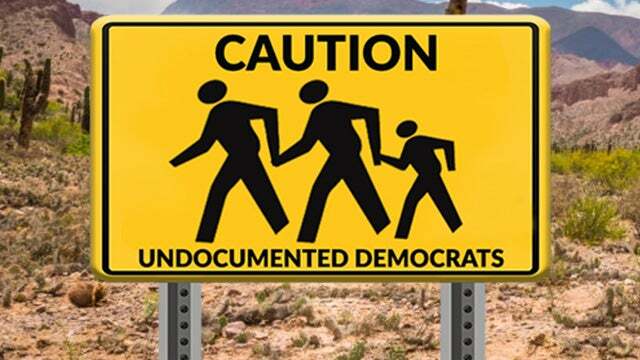 And the Democrat Party is preparing to shut down the government over to make sure those people continue to get into the country free of charge. The Democrat Party is willing it shut down the government, not over your kids and their future. The Democrat Party doesn’t care right now about your kids and their future. The Democrat Party is willing to shut down this government in the name of 800,000 DREAMer-DACA kids and however many more that would mean when you add the chain to it.